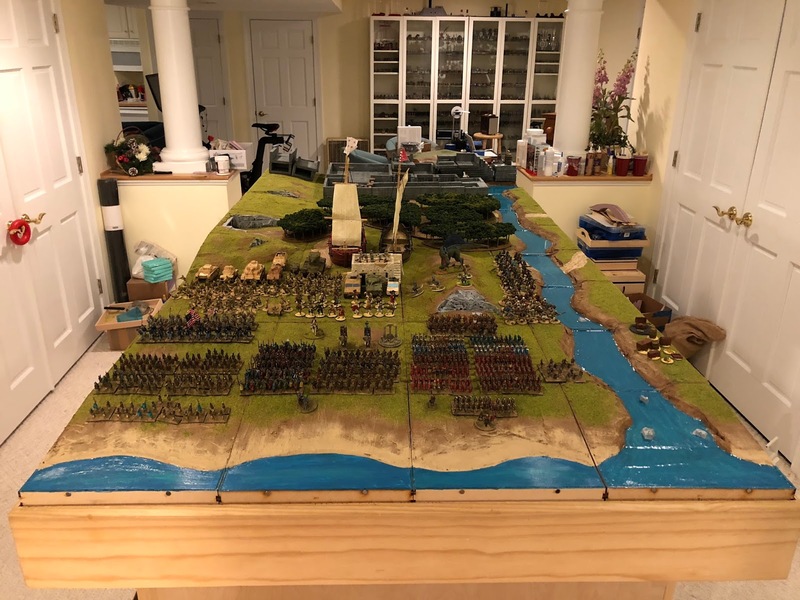 Lair of the Uber Geek: The Analogue Hobbies Challenge VIII is Complete! The Analogue Hobbies Challenge VIII is Complete! Another 3 months of painting frenzy has come to a close. Challenge 8 was a blast and I'm really grateful to Curt and all the Challengers for a wonderful experience. I set a new personal best, in terms of points, and managed to come in 3rd overall which is great. 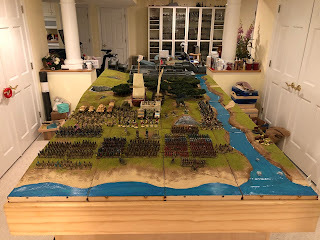 To the left is a picture of everything I painted/built (including the terrain) during this challenge. I'm especially proud of the 15mm Roman and Sassanid armies - those were a lot of fun to paint up. As the incomprehensible chart shows, I managed to put up 4,550 points this year, which is a good bit better that last year's 4,125! Congratulations on this remarkable feat, Miles! The quality and quantity quite impressive. Every year I am astounded anew by how much you get through. Very impressive indeed. OMG! How in heavens name do you find thr time and energy to do all of this? I am pushing it to get a mini painted in a couple of months on average. Superb work Miles. You really hit it out of the park this year - especially considering the personal challenges you were attending to.